Tails es una distro linux live media diseñada para arrancar en un entorno de escritorio altamente seguro. Tails es diferente a otras distros porque está dirigido a la intimidad consciente del “usuario normal” en lugar de a los trabajadores del gobierno. Tails toma forma de imagen auto-arrancable que puede ser utilizada desde un CD ROM, USB o mediante un arranque de red. Una vez iniciado, se ejecuta en RAM, tomando cuidado de no hacer uso de la partición swap. El escritorio es Gnome 2.0 y las aplicaciones son una selección bastante estándar. El navegador web es una versión vieja, pero usable, de Iceweasel 3.5 (Debian Firefox). Hay otras aplicaciones para manejar los trabajos gráficos, edición de audio, reproducción de medios, edición de texto, mensajería instantánea y un cliente email – basicamente, todo lo que necesitas cuando estás huyendo de agentes enemigos. Se puede añadir software adicional mediante el Administrador de paquetes Synaptic que tira directamente de los repositorios Debian. So far, so similar to most other live desktop distros. Security and limited footprint on the the host machine are the areas in which the distro differs from the run of the mill. All interactions with the Internet are passed through Tor an anonymization system. 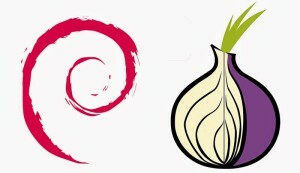 Using Tor, Tails pipes all Internet traffic emanating from your computer through a constantly shifting set of relays that are operated by a network of volunteers. Consequently, it’s then difficult for anyone to monitor your activity on the web or for web hosts to pinpoint your location. In short, your web activities are anonymous. It’s hardly an exhaustive test, but sure enough, when I visited Google News, it presumed that was located in a different country after each reboot. The desktop itself is pretty standard fare. The supplied version of Iceweasel comes with an extension to enable end to end encryption (HTTPS) whenever possible in order to further increase security and another one to switch Tor on and off. Many of the applications that are supplied have been tweaked in this way, to improve security. Tails also wipes the contents of RAM on shutdown, and it has a little onscreen keyboard to bypass hardware key loggers. Note that it isn’t loaded down with security tools, such as those for penetration testing, although such tools can be added via the package manager. The aim of the distribution is clearly to provide a secure client and tools rather than to provide a ready-made platform for hacking. There’s nothing to stop you using Tor to give you a secure general purpose desktop whenever you are forced to use a machine that you are not 100% sure about, security wise. Handy, if you want to check financial or other sensitive information. Beyond that, it comes into its own for denizens of oppressive regimes in which governments actively monitor Internet use and persecute free expression. So, what should you do when you hear them knocking? You should calmly make a clean shut-down […] Then you wait, possibly trying to buy valuable time by barricading your door.